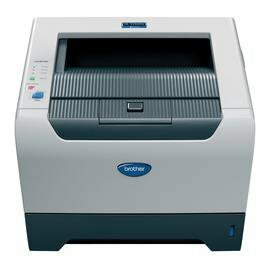 Brother HL-5250DN - this model black and white laser printer, with the format printing A4. Has pleasant creative design. And average technical data. Speed reaches up to 28 pages per minute. Print resolution printer 1200 x 1200 dpi. Paper 300 sheets and output to 150 sheets. Memory he's got 32 MB. Connects via Ethernet RJ-45 and USB. This printer can use 2 types of cartridge TN-3130 and TN-3170. Dimensions has 384 x 246 x 371, weight of 10 kg.